Focused on getting things done? Able to take responsibility for your actions and decisions? Resourceful and have a high bias for action? Inquisitive, creative, and a problem solver? Committed to high ethical standards? Then Globe might be the right place for you! 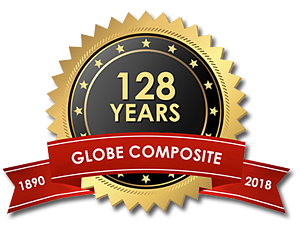 We are a well-established, fast growing technology company South of Boston serving Fortune 1000 customers by designing, engineering and manufacturing high performance composites for defense and industrial applications. For more information and to apply, please click on the open positions below. Globe is currently seeking a Contract Recruiter to join our team! This will be a long-term contract. Must have a minimum of 5 Years experience! Globe is currently seeking a Cost Accountant to support our fast-growing manufacturing company. This person will have a significant impact on the company’s success by maintaining a high level of analytical insight into manufacturing, operational expenses, product pricing and business unit profitability to support Globe’s business needs. Globe is currently seeking a Payroll & Benefits Administrator to support our fast-growing manufacturing company. The Payroll & Benefits Administrator is accountable for regular processing of all payroll and benefits at Globe Composite Solutions. This includes utilization of a third party payroll resource and multiple benefits providers for health, dental, vision, and other ancillary benefits. Globe is seeking a hands-on CNC Machinist with 5+ years of outstanding experience in part design, programming and CNC machining. This person must have extensive experience on various pieces of machining equipment such as CNC, manual milling machines and lathes. The ideal candidate will have a broad skill set and is not afraid to tackle multiple tasks. Globe is seeking a hands-on CNC Programmer with 5+ years of outstanding experience in part design, and CNC programming. The ideal candidate will have a broad skill set and is not afraid to tackle multiple tasks. Globe is seeking a hands-on Project Manager. The Project Manager is accountable for managing project initiatives by providing planning, operational, and direction to the project. Most projects will be related to DOD contracts. The Project Manager is responsible for leading team meetings, providing project oversight and implementing scope and change management. The Project Manager will work with finance, engineering, procurement, production and quality. Globe is seeking an experienced, hands-on Maintenance Technician at our Stoughton, MA production facility. This is a day shift, full time position. In this position, the Maintenance Technician will perform a variety of plant maintenance, repair and equipment installations. This individual will troubleshoot equipment and facility failures and determine the necessary course of action with respect to repairs and replacement of components. We will train on our specific machinery. This person will maintain a safe working environment by adhering to all OSHA and plant policies. Pay range can be adjusted depending on skill level. Globe is seeking a Shipping and Receiving Supervisor. You will work under minimal supervision and be responsible for performing the day to day physical and/or administrative tasks involved in the shipping, receiving, storing and distribution of materials, parts, supplies and equipment. Globe is currently seeking an experienced Manufacturing Engineer who would like to lead the transition of projects from initial design to final production. In this position, you will interact with the customer and internal project teams to understand contract requirements, design and fabricate tooling and establish manufacturing processes that cost-effectively produce composite-based components. You should be a self-directed individual with strong project management capabilities and excellent communication skills to work with both internal resources and customers. Prior experience in working with thermoset and thermoplastic materials is a definite plus. Globe is seeking a Production Team Leader to work in our Stoughton, MA design and technology center. As a group leader on our production floor you will be responsible for overseeing a small (5-6 people) production crew involved in mixing and molding urethane and other composite materials and to provide assistance and troubleshooting when required. You must have an understanding of working and leading in a fast-paced environment. You should be able to establish cell layout and process cycle reduction methods using a 'hands on' approach. Globe is seeking a creative Senior Design Engineer to work on defense-related programs that will engage your engineering and project management talents from concept through completion. APPLICANT MAY BE REQUIRED TO OBTAIN U.S. GOVERNMENT SECURITY CLEARANCE. YOU MUST BE A U.S. NATURALIZED CITIZEN. Globe is seeking a talented Designer/CAD (Computer-aided Design) Operator. We are looking for a well-organized, detail-oriented individual who is able to work on multiple tasks simultaneously with minimal supervision once a task has been defined. Must have excellent communication skills; good work ethic, and willing to work collaboratively in a fast-paced, team-oriented environment. Must demonstrate a strong track record of independence and self-driven execution to complete work on schedule. Globe is seeking an experienced Polymer Chemist to lead new material development and production support. Globe is a leader in custom molded non-metallic composite components using thermoset and thermoplastic materials. APPLICANT WILL BE REQUIRED TO OBTAIN U.S. GOVERNMENT SECURITY CLEARANCE. YOU MUST BE A U.S. NATURALIZED CITIZEN. Globe is seeking a talented, customer facing Quality Engineer. In this role you will be responsible for the assembly, review and presentation of Product Acceptance Data Packages to our customers which include interfacing with government organizations such as DCMA. Additional responsibilities will include but not be limited to overseeing our Calibration and Internal Audit Programs, performing Supplier Audits and also assist in providing inspection process support with participation in Material Review Board and Corrective Action activities. Globe is currently seeking an experienced Quality Inspector (Mechanical). In this role you will be responsible for working from blueprints, engineering drawings, and other specific procedures to inspect material. Create, complete, and compile necessary documentation related to Quality Inspection as per customer and/or company standards. Globe is seeking a Customer Service Associate to assist our customers with processing and fulfilling sales orders. Globe provides specialized design and manufacturing services for advanced composite products to military and industrial customers worldwide. If you have experience in a similar role, you may be the right fit for us. Our preference at Globe Composite Solutions is to recruit candidates directly. We do occasionally partner with a limited number of preferred agencies when we identify a need for third party staffing support. We do not accept unsolicited agency resumes. We will pay a fee only if the candidate is presented after there is a signed recruiting agreement in place between Globe Composite and the agency and only if we have explicitly engaged the agency to submit resumes for a specific current opening. We do not pay fees for unsolicited candidates submitted to Globe Composite Solutions or any Globe Composite employee by email, fax, phone, mail, verbal referral or any other means. In the case of candidates submitted to Globe Composite Solutions without a signed agreement in place or without being solicited to work on a specific open requisition, Globe Composite explicitly reserves the right to pursue and hire those unsolicited candidates without any financial obligation to the recruiter or agency. No employee of Globe Composite Solutions has any authority to modify the terms of this notice, or waive the requirement that a written engagement be in place prior to submitting resumes.